It was a dark and stormy night. Outside the wind was howling, rain pouring down as if from a fire hose. But inside, I was stretched out in front of the television, aimlessly clicking the channel button on the remote. Sigh... nothing good on tonight to pass the time. But as I perused the lineup, one program caught my eye immediately. It was a National Geographic program called "Ultimate Factories." The episode was about a Canadian automobile factory, churning out Chevy Camaros. Now... I'm a diehard Ford fan. But, I thought it might be interesting to watch anyway. So I settled back, chips and dip in hand, and began to watch. Almost dumped my snacks all over the floor! What I saw onscreen amazed me more than anything I'd ever seen. There in front of me, I saw the inner workings of this manufacturing behemoth... and it was right out of science fiction. Except, it was science fact. 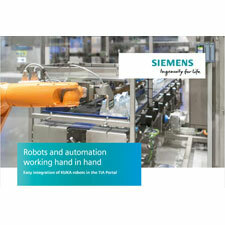 Industrial automation controls had the robotic assemblers dancing like ballerinas. They twisted and turned and raised and lowered in perfect synchronicity. Lasers and photo eyes placed parts and assemblies in perfect alignment. Multiple bolts were screwed in with amazing precision and speed, automated sockets spinning at hundreds of revolutions per second! One of the most amazing sequences was when it was time to mate the fully loaded chassis with the completely assembled and painted body. The chassis was whisked to the staging area on a fully autonomous buggy. Once there, the automation controls began the alignment process as the body gently floated down from the overhead track to nestle softly and securely on the framework. Of course, some human intervention was required to ensure proper alignment before touch-down. And to secure the body to the chassis with a few well-place bolts. Human eyeballs and white-gloved hands ensured the paint job was perfect. Small impurities were hand sanded and refinished. But the overall process was dominated by precision machine automation controls and devices. Even the body paint was applied by automated paint guns spewing a powder coating that was infused to the metal by computer-controlled heat. Even if it was a Chevy.